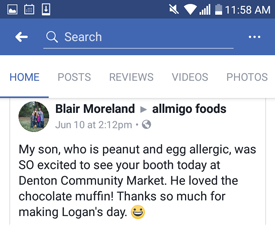 word of mouth has been the allmigo american brand number one marketing tool since day one. 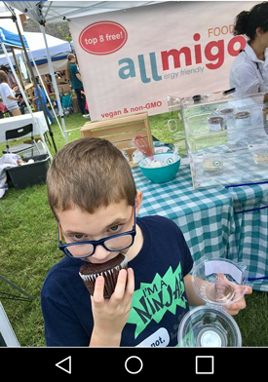 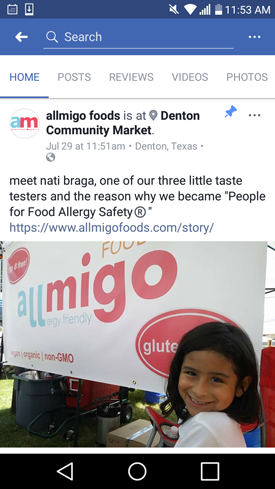 today we prudently maximize our time to producing, researching and developing uniquely safe food products on behalf of our People for Food Allergy Safety® customers. 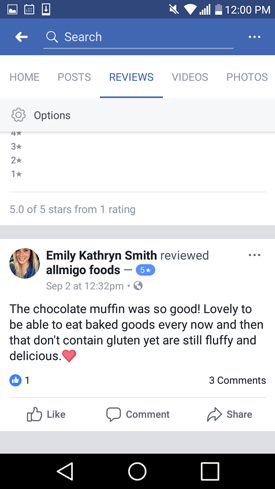 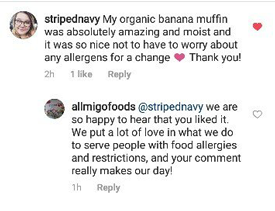 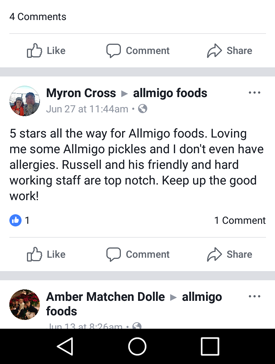 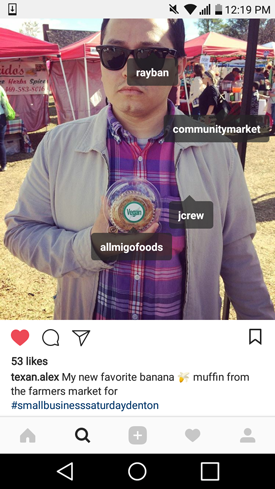 in the meantime, you may scroll below for captured moments, reviews, and customer recognition of the allmigo american brand on our now–closed allmigo® business page on social media.